I bought choc. 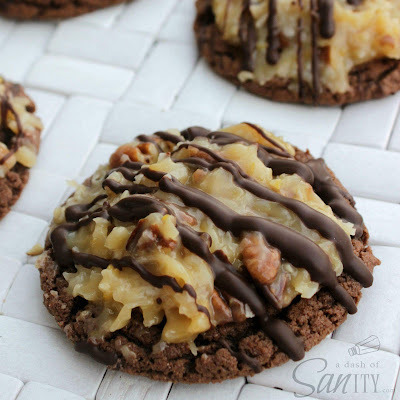 cookies and topped with chopped pecans, and German choc. icing with melted dark choc.